It's so cold in Pennsylvania that ice dunes have formed along Lake Erie. Waves brought large chunks of ice toward the lakeside beaches, building up a frozen barrier. In Pittsburgh’s Chartiers neighbourhood, one person was taken to the hospital after a salt truck overturned. 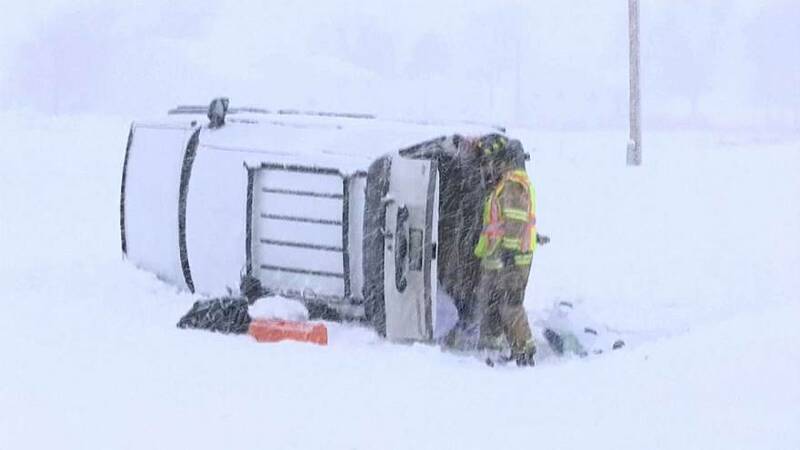 In Montana, the fall of more than 12 centimetres of snow made roads slick and slippery, with drivers reporting poor visibility and police telling them to stay off the streets.